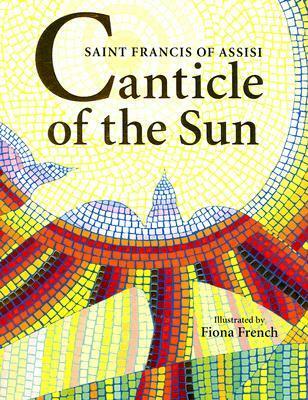 Fiona French does a lovely job of bringing visual beauty to St. Francis's prayer through mosaic-esque illustrations. I like to have a brief story and a prayer to celebrate the saints as we encounter them on the liturgical calendar, and this book will be a nice addition to our discussion of St. Francis when his feast day comes around again this fall. Sign into Goodreads to see if any of your friends have read Canticle of the Sun.